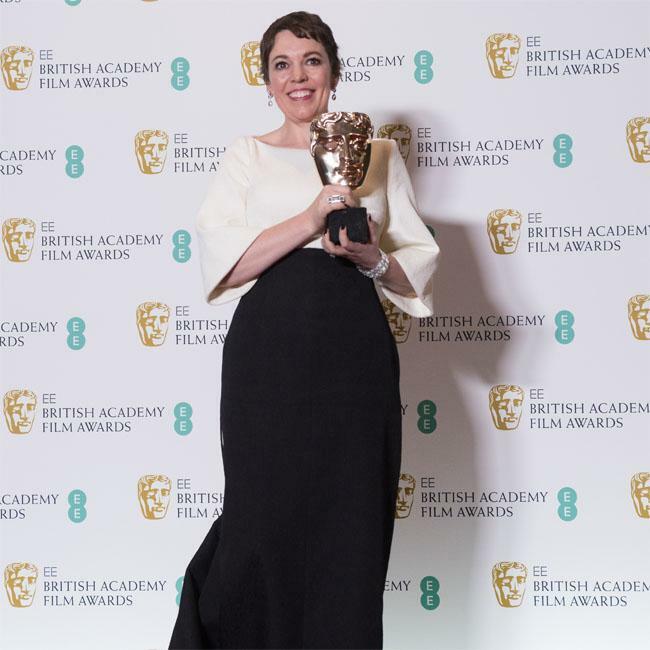 Olivia Colman dedicated her Leading Actress award to her co-stars at the EE British Academy Film Awards on Sunday night (10.02.19). The 45-year-old actress triumphed at the awards ceremony at London’s Royal Albert Hall for her part as Queen Anne in ‘The Favourite’ but dedicated her award to her friends and colleagues, Emma Stone and Rachel Weisz. In her acceptance speech, she said: "Making this film was my most favourite time ever. Emma and Rachel, you were the best and classiest and coolest colour guard I could have had. This is not for the lead, but A lead." Referencing her co-stars, she added: "It’s a shame we can’t all be here, but this is for all of us. It’s got my name on it, but we can scratch in some other names." And Olivia admitted to feeling "shaky" on stage. She told the audience: "I’m very shaky, sorry. Can’t read [my speech] either! We’re having an amazing night, aren’t we? We’re going to get so pissed later!" Reading through her notes, she added: "I’ve done that bit, I’ve done that bit … Sorry, I swear I’m going to go in a moment." And it is no surprise that Olivia felt nervous as she previously admitted to feeling "sick to her stomach" before she attends award ceremonies. She explained: "The first one you ever go to is the best night ever. And then after that it gets more scary. I get more and more nervous. I feel sick to my stomach before I have to go. Because ‘What am I gonna say if I win?’ and I don’t think I should win, I think I should win’. It’s not just a night out anymore."